Paul Simon wrote a song many years ago titled "April Come She Will" which recapped the months of the year from April to September. The phrase he used for July went: "July, she will fly and give no warning to her flight." July, arguably my favorite month of the year, has indeed flown by in supersonic fashion. July 2011 came complete with five weekends--I was home only one and I had just returned from a two week trip for that one. Of 31 nights in July, I was away for 17 of them in three very different places--Ithaca, the Caribbean West Indies, and Ocean City. Wow. And I think I even got the lawn mowed somewhere in there, too. 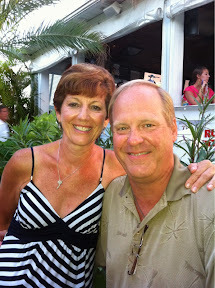 Last evening, we has a fantastic dinner at a marina side restaurant in Ocean City which really capped the month of July. It was an awesome way to wind up the best month of the year. And alas, July has flown by and we are standing on the doorstep of August.